COLOR: Cream in the colour with notes of summer truffle slices. INGREDIENTS: Butter 88%, cheese “PDO Parmigiano Reggiano”, summer truffle (Tuber aestivum Vitt.) 5%, salt, potatoes, flavour. Contains: milk. TASTE: Delicate and balanced flavor, salted notes conferred by the Parmigiano Reggiano DOP. 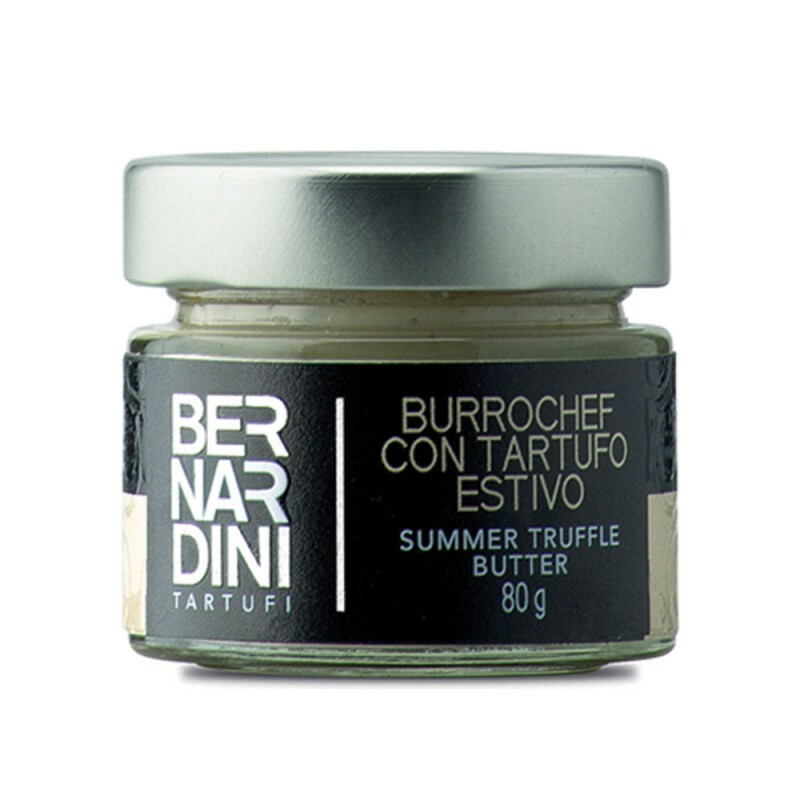 The typical summer truffle flavor gives this product an extraordinary harmony.